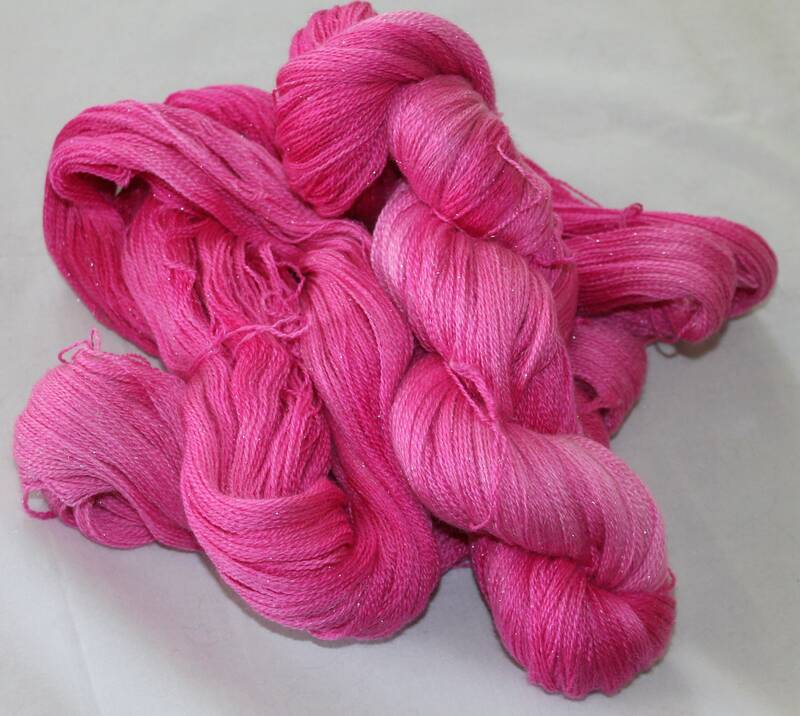 Hand painted extra fine merino, silk and silver sparkle yarn in hot pink geranium colours. I love geraniums they just make me smile as a flower and every summer I have pots filled with them lining steps in my garden. I just had to dye one of my favourite yarns in their bright colours to match. 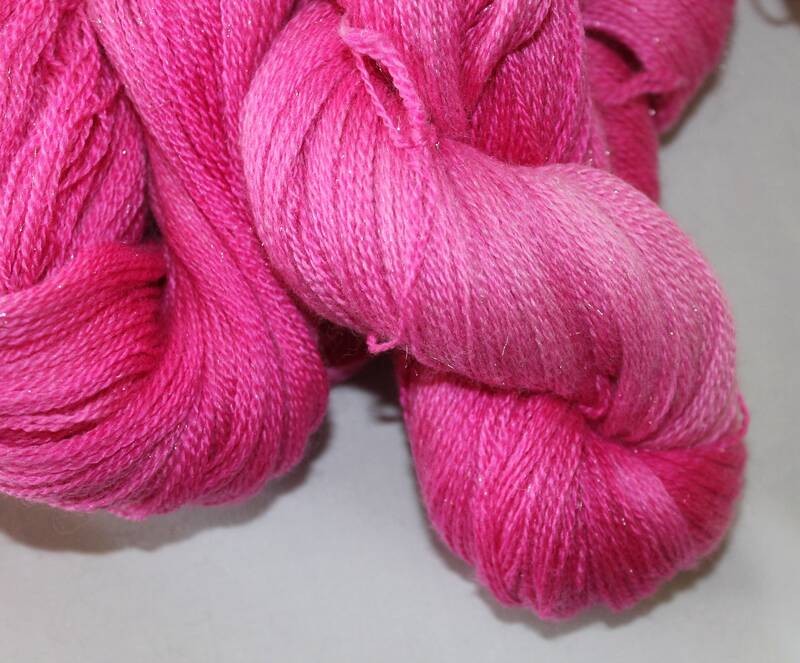 This skein is lace weight and is extra fine merino, silk and silver stellina sparkle. It is space dyed in pinks. 800m/skein which is enough to knit an entire wrap. If you would like more of this yarn, a different colour or this colour in a different yarn please send me a convo...I love custom orders.